My life has been so boring as of late. Well, actually it's never boring. Kate dumped an entire canister of sugar on my floor, cut (massacred) a entire pan of brownies, and stood on the door of the dishwasher and bent the rack track. But, I think I am so worn out of her antics, that not even blogging takes the sting out them. Anywho...today's pictures are courtesy of my dog groomer The Paw Spa. My kids LOVE to go there because the groomers' dogs are always there. These two cute puppy dogs are all of our favorites. Meet Hope and Chloe. While we were waiting for Johnny to get done getting his hair cut, we went to McD's. I SWEAR there is a scent or something in that place that says to my kids brains "You need to go to the bathroom. And not just the bathroom, but poop in the bathroom." It is insane. EVERY single time we go there my kids have to poop. I would say it's the greasy food, but my kids never eat their meals so it can't be that. It's just the secret subliminal message that only my kids' brains can detect. So how was that for a really boring post. I need to get crackin' and get something good up here. not boring at all! In fact when I talked with you ever-so-briefly this morning and heard you were going to the groomers, I was thinking TAKE YOU CAMERA ALONG! Those dogs are pretty cute in a funny looking way :)! Poor Kate. Really poor Elena! You know she'll grow out of it one day, but I'm with you--you can only laugh and think "this, too, shall pass" about so much, then you gotta yell or bang around on something. Maybe go beat on your piano for a while? Just don't kick Kate. Or Jarom. Or Johnny dog :)! oh yeah....and this, too, shall pass! That was my grandma's famous saying. I can't imagine all those things she does! Sarah got her own bread out today and is always in the pantry but "so far" that's as bad as it is. I don't feel your pain, but I feel for ya. Picasa - yes, the hold button is basically the picture's you're selecting. Once you've edited them, click hold and it moves them to the bottom. From there click email or blog or whatever you're going to do to them. I have "order prints" set up with Walgreens and I can go pick them up in an hour. 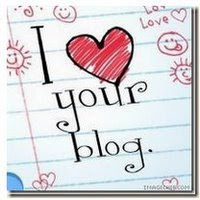 I just laugh and laugh every time I read your blogs! You have such a great sense of humor. That is just so funny about your kids and......eh, um.....the bathroom! How funny! You go girl! Or that is, you "go" kids! "Pretty sure" she's your last?! I like the sound of that answer. That's way better than "she's our last". I seriously don't know how you stay so level headed with Kate's business, does the fact that she is #4 play a big part? And...where is the Paw Spa? You are crackin me up! There is NO such thing as boring in Motherhood. We just get climatized to it all. I hear ya on the dishwasher thing. Our nice new beautiful dishwasher sounds just like our old cheap crappy one. It vibrates on the rinse cycle. LOUD! And oh I won't go into what happened to the airhockey table. That's a blog for another day. Did I mention I am done at 3 kids?! And my husband will be home tomorrow. Becky- the "pretty" is my part, the "she's our last" is Jarom's part. And her antics are exactly why. I think the only thing that keeps me sane with her is the fact that I am a little lax in the area of organization/tidiness. (I guess it's good for something.) And the Paw Spa is in Shelley. I hate taking my kids into public restrooms, and I'm with ya... whenver we see one, it's poopy time. There is no descreet way you can sit on a public toilet. It's a grab as many nasty parts of the pot with your hands as you can. It grosses me out every time. I think everybody else said it best! I have to remind myself that "this too shall pass" also! I feel your pain! I guess you know that!